Common milkweed is a hearty perennial that has grown on the side of our house for years. Each summer there are dozens of caterpillars that frequent these plants. 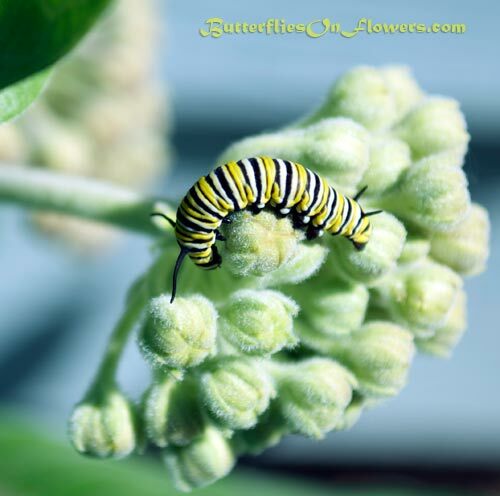 Milkweed is the only source of caterpillar food that can provide the larva with the nutrients it needs to transform into an adult butterfly. Caterpillar Facts: There are over 100 species of milkweed in North America and over 200 worldwide! The monarch larva has been reported to dine on 27 species, but there are likely others that will suffice.